Enjoy a plate of pancakes and sausages, doused in Maple Syrup. All day breakfast and live entertainment. If you see her, make sure you ask for some of her special treats. She's happy to oblige and always has a smile on her face! Meet & cheer on the dignitaries during the log sawing contest. It's always a fun time so make sure you stop and watch! Browse our diverse selection of unique vendors. You're sure to find that one unique treasure! Firefighters and Pancake Eating! What could be more fun to watch... but you might want to stand back, IT CAN GET MESSY! First time at the Festival? New to the area? Need a map? 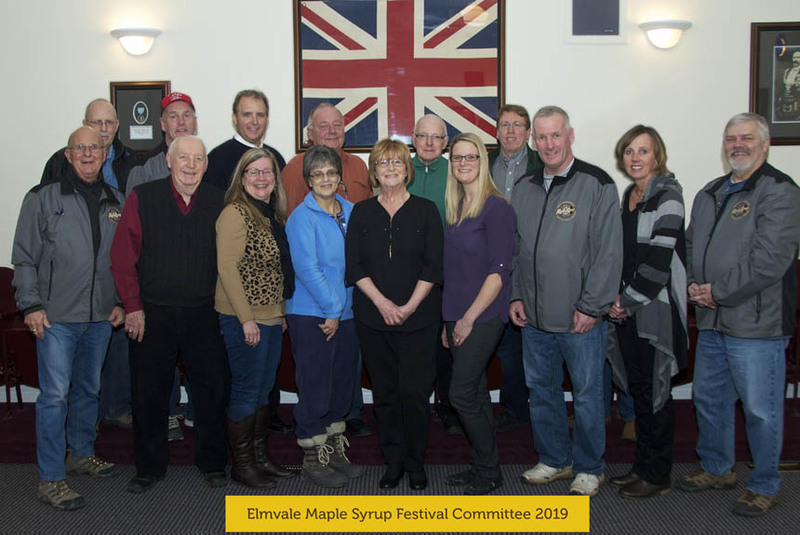 The Elmvale Maple Syrup Festival is a fundraising day which supports needs within the community. All proceeds from this one day event are turned back to our schools, children’s music programs, library support, arena and community hall projects, girl guides and scouts, as well as helping many other projects where other financial sources are not available. Many volunteers and many, many hours of planning and behind the scenes effort have gone into preparing for this day. 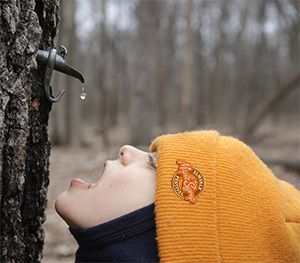 For over 5 decades, committees have sat and wondered what they could do to make the next Maple Syrup Festival better than the year before. We thank all our volunteer helpers for their efforts in putting this day together for you. It is this selfless group who make the Festival possible; the planning committee who meet every month for 10 months; the men, women and children who tirelessly participate each year on Festival Day; the local businesses and organizations who donate so much, such as parking space, flowers, prizes etc. Sincere thanks to our Sponsors and Partners whose financial support contributes to the success of our great Festival. We hope you enjoy yourself and come back to visit Elmvale and the beautiful country life we offer here.